For over 30 years academics, consultants and executives have given us books, seminars and models on leadership. Over that same period workers have become more and more dissatisfied with their jobs, and their leaders have become fodder for cartoons, movies and television comedies. 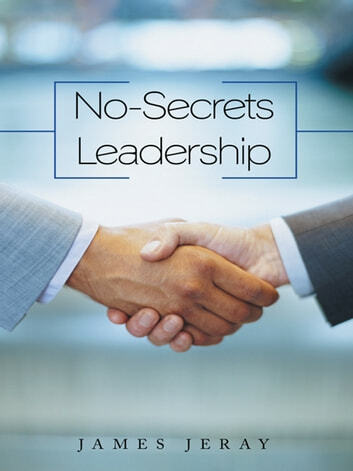 Currently Amazon lists at least 100 books on leadership with secrets in the title. Yet, business leaders today take their employees for granted: making decisions without input, giving orders without listening, running departments and companies without caring. This is not good leadership; its not really leadership at all. Forget about secrets. There are no secrets, only the daily commitment to satisfying your customer through the work of your people, by treating them fairly and respectfully and getting the full benefit of their talents and energy. Find out how to become a better leader, even a great leader. Learn how to apply those fundamentals that can serve you from supervisor to CEO level. Help reverse the downward trend and get American business back on track by applying a no-secrets approach that delivers results through people.